2017 (17) Harley Davidson XL1200 Sportster Superlow. 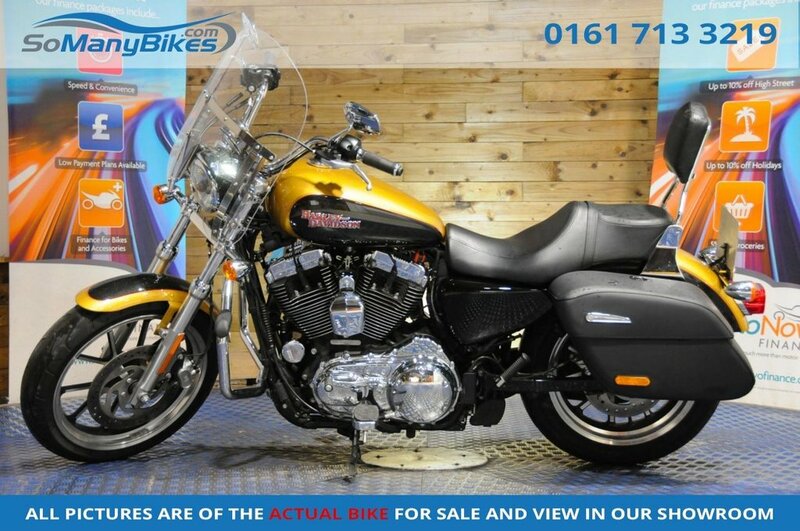 Comes with Owners Manual with Harley Service history, Heated grips, Leather panniers, Sissy bar, Engine bars. Here at SoManyBikes we are committed to bringing our customers the best finance deals. Thats why we offer low rate finance with a low deposit, with an extended warranty and even poor credit finance! We carry a huge range of stock with competitive prices, full parts and labour warranty packages (that actually work!) and hassle-free, friendly service. Have your new bike delivered by our professional and affordable transport service - www.moveamotorbike.com. Visit www.somanybikes.com or call our friendly staff on 0161 713 3219 for help and advice on your next bike!